Namaz / Salah means Prayer. Namaz is the specific way of Worship of ALLAH Almighty performed by Muslims. Salath is one of the most important of the Five pillars of Islam.ALLAH Almighty has mentioned the benefits and the importance of Salath many times in the Holy Qur’an. Salath/Namaz has been made compulsory for Muslims daily 5 times. From dawn before sunrise. Afternoon paryers post the period of Zawaal (when sun is perpendicular to earth). late afternoon and before Sunset. (Evening) Just after Sunset. Late evening after the Sunset is complete and darkness of the night is complete. A Rakat is one complete cycle of Standing(Qa’adah), Bending(Rukoo), Prostrations (Sajdah) and subsequent Sitting (jalsa) or Standing up again in the Salath. Each posture of the Salath has a standard defined procedure and recitations that are observed by every Muslim irrespective of where he lives or what race he belongs to. Muslims follow the methods as taught to us by Prophet Muhammad (SAW). There are fourteen things called the Fard (imperative/compulsory) parts which have to be fulfilled for the Prayer to be valid and proper. Seven of these are prerequisites which must be fulfilled before the commencement of the Prayer. The other seven, called the pillars of the Prayer, have to be observed during the Prayer. If any of the following seven prerequisites is ignored, the Prayer will not be deemed to have been performed at all. 1. 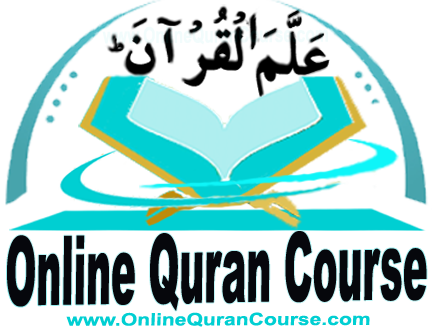 Cleanliness of Body: The body has to be cleaned of all sorts of impurities, whether these are impurities in effect or impurities in fact, and one must have obtained purity either through Wudu or, if need be, through Ghusl. 2. Cleanliness of Garments: All the garments including even the cap, socks, gloves, etc., that one is wearing or having on one’s body must be clean and pure beyond any shadow of a doubt. 3. Cleanliness of Place: The minimum requirement is that the place where one intends to stand and where one’s knees, hands and forehead would rest in Sajdah, must be clean, whether it is a piece of plain ground or floor, or a mat, etc., bat one should also avoid standing for the Prayer at a place which is stinking with filth and dirt around it. 4. Covering of Satar: For males it is the part of the body between the navel and the knee, and for females it is the whole body excluding the face, hands and feet. Women should see that the ankles do not remain uncovered. 5. Ascertaining the right time for a Prayer: Each Prayer has to be performed within the time limit prescribed for it. If a Prayer is performed before its time, it will be no Prayer at all, and if it is offered after the time for it has elapsed, it will have to be offered as a missed (Qada) Prayer. 6. Facing the Qibla: If a person performs his Prayer with his face turned towards a direction other than that of the Qibla, unless there is a genuine reason for that, his Prayer will not be deemed to have been performed. 7. Intention Having the intention in the mind, which may also be expressed with the tongue, to offer a particular Fard Prayer at a prescribed time, or a particular missed Prayer afterwards. For the Sunnat or Nafl Prayers, however, the mention of the time is not necessary. If one is going to offer a Prayer under the leadership of an Imam, one has to express intention to that effect, too. For men, it is advisable to pray in a Masjid in congregation behind an Imam, as it is 27 times more rewarding than praying alone at home, but for women it is equally rewarding whether she prays alone within the confines of her home. As it is mentioned that the Prayer is the specific way of Worship of Allah Almighty. So there are many verses and ahadith which describe Prayer’s importance. None can be perfect Muslim without performing his daily prayers, Prayer is the second pillar of Islam after Shahadah (Faith). it is obligatory for Muslims to offer Salah five times daily. The prayers spread throughout the day at dawn, around noon, afternoon, sunset and in the evening. Salah has to be offered at the specific times mentioned above.